Photographers, who are looking to maximize the quality of their images, need to learn how to calculate camera lens range for all their camera lenses. Every camera lens has a range - a sweet spot - where images will be in optimum focus. Factors like the quality of the glass in the lens and the length of the lens come into play when trying to get an accurate calculation of camera lens range. Whether your equipment is entry level or professional-grade, understanding how to calculate camera lens range will undoubtedly improve the overall quality of your photographs. When a photographer speaks of the range of a camera lens, he or she is referring to the lens' focal length. The focal length is what determines a lens' angle of view, or how large the image in the photograph will be in relation to the size of the actual object being photographed. The length of the lens determines what its focal length will be. The wider the angle of view the shorter the focal length, and the narrower the angle of view the longer the focal length. 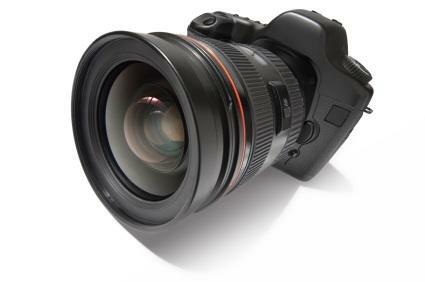 Therefore, a wide-angle lens has a focal length that is shorter than normal, while a telephoto lens has a focal length that is longer than normal. So what does this all mean for the photographer? The most important aspect of focal length is that it allows the photographer to control the perspective of his or her images. This is achieved by selecting a lens with either a short or a long focal length and by moving closer or farther away from the subject. For example, when you take a photo with a camera that has a telephoto lens. Make note of how large the primary subject is in the image. Then fit your camera with a wide-angle lens. Move closer to the primary subject until it is roughly the same size in your viewfinder as it was in the first shot and take a second picture. The primary subject will still be the same size in both photographs, but the other objects in the image will increase in size. This can be a powerful composition tool if photographers can master how to manipulate their images in this way. Another important factor when considering the focal length of camera lenses is how it affects handheld photographs. A lens with a longer focal length, such as a telephoto lens, will require a shorter exposure time to ensure that the image is captured in focus. Therefore, low light situations with a telephoto lens might be a recipe for blurry images unless you use a tripod. Outsight: This environmental photography website has a hyperfocal and depth of field calculator available for use. Cambridge In Colour: This website has some great information and a handy lens range calculator. After you process this information and get some calculations on the range of your lenses, you should head out and experiment taking different photos from different distances with different lenses. You might be surprised how much compositional control you have and how much you can really manipulate your images.